few days ago i have to make an application where a template image with some marked rectangle will be given using that template i have to extract same positions rectangle from other input images. in c# i make that application using aforge color filtering and blob extraction. 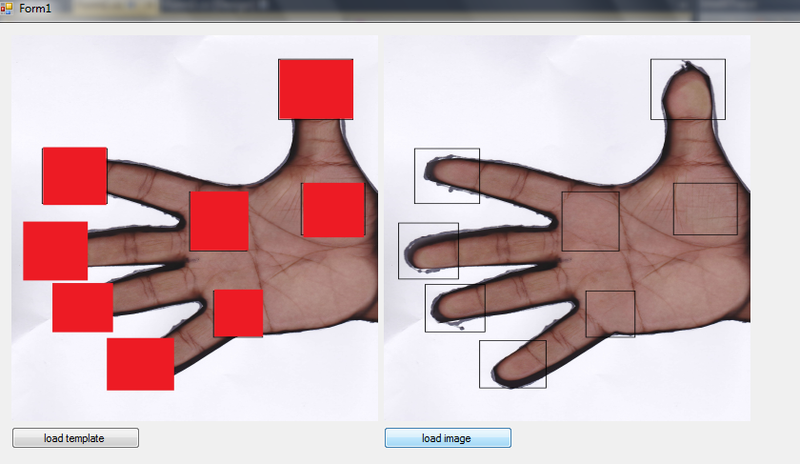 purpose was required data gather from hand print , the print size will be always same so extracted places would be same, so this application was needed. here the input template was given and i getting rectangle data. 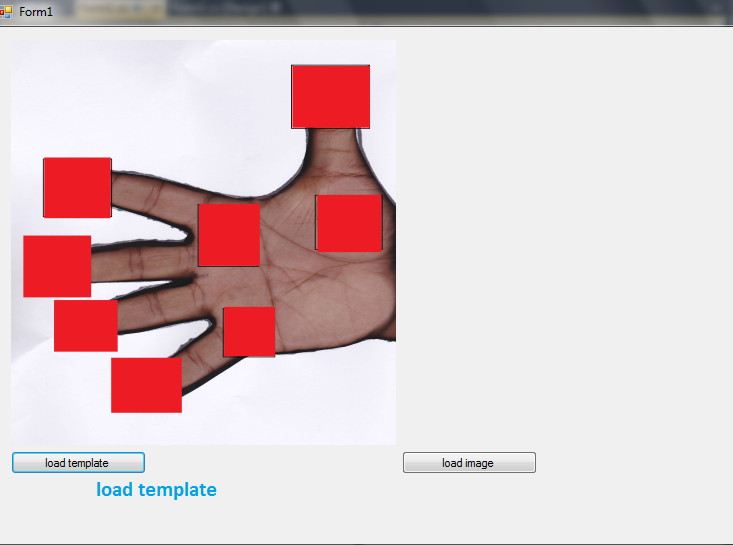 This entry was posted in C#, Image Processing, Winform app and tagged cut rectangle c#, hand print recognition, handprint generate, required data gather from hand print c#. Bookmark the permalink. how can i get the code..? Link is broken,please renew link.